I am having a MAMIL moment. Apologies, normal service will be resumed shortly. My aim with this blog is to keep a balance. A wide variety of cycling content mixed in with some travel, food and Belgian life. On the cycling side it means that I try to balance my personal love of for sporty riding like great races and mountain biking with rides for everyone in amazing locations and great company. However regular readers may have noticed a trend creeping in over the past few months. Since December I have been doing a lot of long hard rides. Thankfully you have all been very appreciative of the long touring days, the hard cross country and recently the excursion to Taiwan’s mountains. I am having a MAMIL moment. I am a Middle Aged Man in Lycra, racing around the countryside in search of cycling achievement. I ended last summer feeling good about my riding and I was determined to keep it up over the winter for the first time since moving to Belgium. The idea became firmer when I found our club’s previously secret winter riding gang that would get me out on Sunday mornings, just like back in the UK. However that innocent aim got hi-jacked by a moment of MAMIL madness. 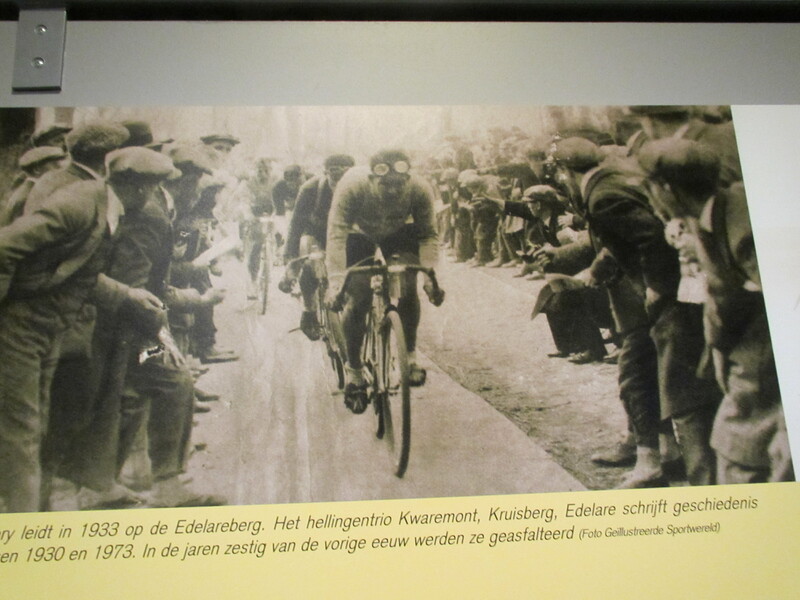 I was clicking around the web one evening when I found the site for the Tour of Flanders challenge ride on the Saturday before the legendary classic. The race I have been visiting since I got here, only growing in my estimation now I live in Belgium. Click, enter your details. 130 kilometres, all the famous climbs, I can do that, click. Enter credit card, click. (I would like to blame mixing Belgian beer with a double espresso, or similar over-stimulation, but I suspect I just had a moment.) And with that I went off to bed dreaming of becoming a Flandrian. I promised that it wasn’t the case. No obsessive behaviour. No doubling the food bill. No sneaky rides at inappropriate moments. Because I had no doubt I would not be training for this ride. I would try to “get fit”, but in my head that is a process of just a few longer fun rides on top of my usual schedule. Training is what you do when you become slave to an objective. Faster, higher, stronger. To beat a time or a rival. No I am not going to be training, I am just going for a long ride. About a week after I signed up for the Tour of Flanders ride I began my schedule by setting set out for a thrash up a few hills on Saturday morning. This did not go well at all and I promptly came down with flu and then a chest infection which lasted almost through to Christmas. Best winter in years? No chance. So I did the only realistic thing in the circumstances. I panicked. Well almost. I had 13 weeks to create the man in my head who was bouncing up steep cobbled hills with enthusiasm and energy, not somebody crawling to the line in pain and suffering. 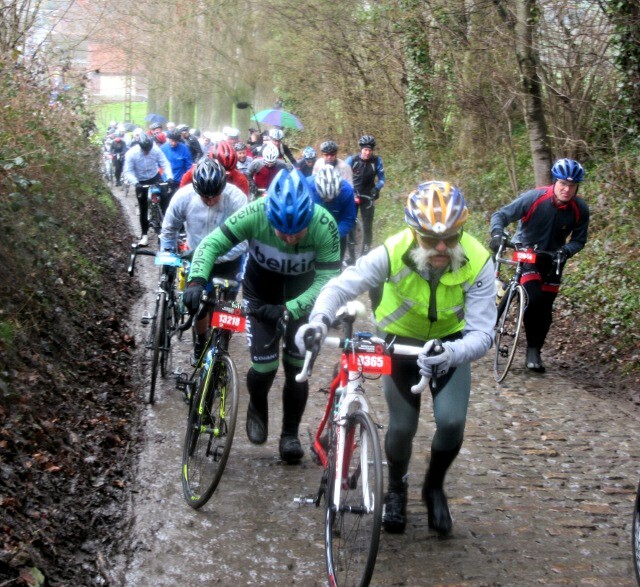 Yes the Tour of Flanders classic allows for fun riders who can take up to 12 hours to do just 70km, something I can handle even when totally unfit. But that’s not the point for me, I want it to feel sporty, I want to be able to follow bunches of other riders, I want to be able to look at it on the TV the next day when the pros ride and I want to be able to say “I did that”. It has however been really hard, especially in my head. It is five years since I last got myself anywhere near this level of fitness, in fact probably nearer ten. The body forgets. I have ached, I have groaned, I have been wet and cold rather more times than I wanted. I was much more tired than I had expected as I stepped up the riding/training. 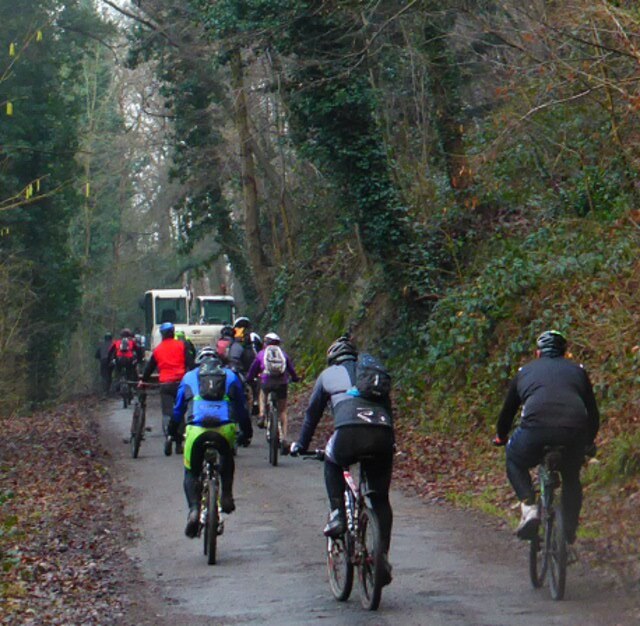 Riding with the club’s winter group I found myself struggling unexpectedly to keep up. People I rode with all last year were dropping me on Sundays. I blamed my old winter bikes and the fact that I was riding 3 or 4 days in the week to so I was more tired than them, but if you had asked me at the end of February “How’s it going?” I really was not happy. And perhaps that’s my main point, the stress of the target took a lot of the shine off the riding, it was something I “had to do”, not “wanted to do”. I think I might have been training. Oh dear! The mornings offered a hint of spring. I extracted my best bike from its winter hibernation and enjoyed the swish of lightweight tyres on dry roads. 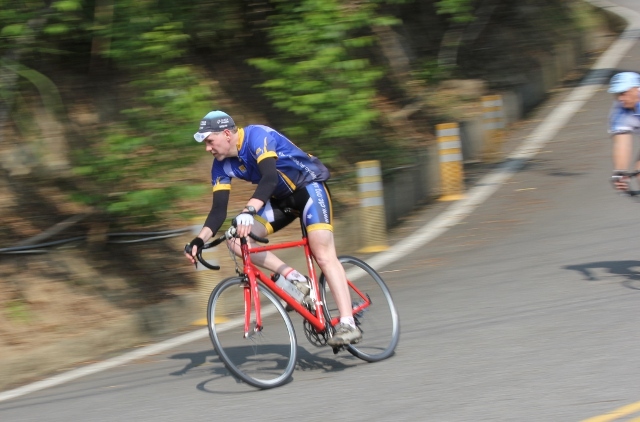 My strategy for surviving the annual diet of jetlag, late dinners and over-consumption at the Taipei Cycle Show paid off brilliantly with the two extra days for cycling acting as a wonderful final warm weather training camp. And then I went out on a Sunday and whizzed round with our fast group, something I could not possibly have done a year ago. And as I started enjoying myself the aches and pains eased away. I am about 4kg lighter than I was in October and a hell of a lot fitter, I really can enjoy this. Maybe, just maybe I am ready for my MAMIL moment on Saturday. I have no enthusiasm whatsoever to turn training for cycling into a way of life again. 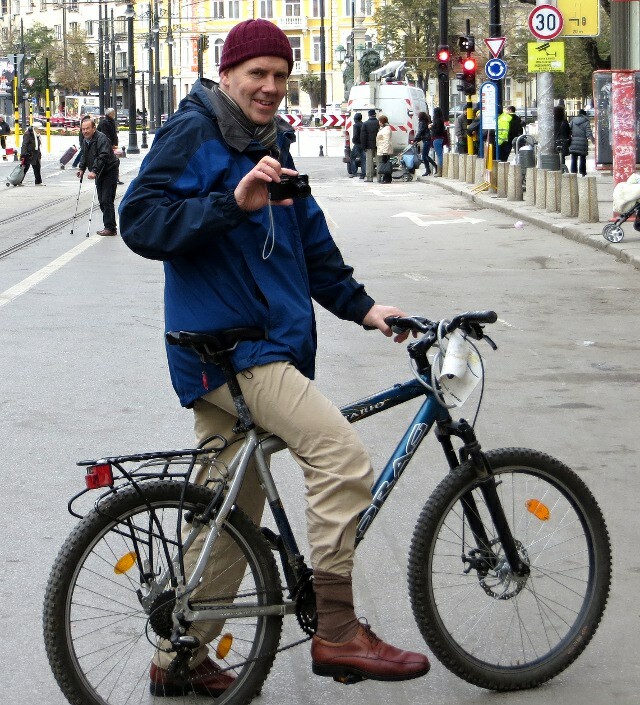 I intend to keep my rides nicely balanced with a return to regular city and gentle touring rides. All credit to the veteran racers and born again MAMILs that bring so much energy and passion to their cycling. Yes I am going to try and keep fairly fit. I can see some great rides coming up over the rest of the year and as I am in Belgium I will stretch out for some more links to the classics. But I am going to keep it fun. If the wind is howling and the rain coming down horizontally like it was this morning, I will roll over, take an extra hour and go for the train later. Part 2 of my guest post for Denzil Walton’s www.discoveringbelgium.com has been published today. Last week it was all about places for you to ride. I have suggested some of the best cycling to watch this year including the Six Days of Ghent, the great settings for cyclocross races and of course the road classics. 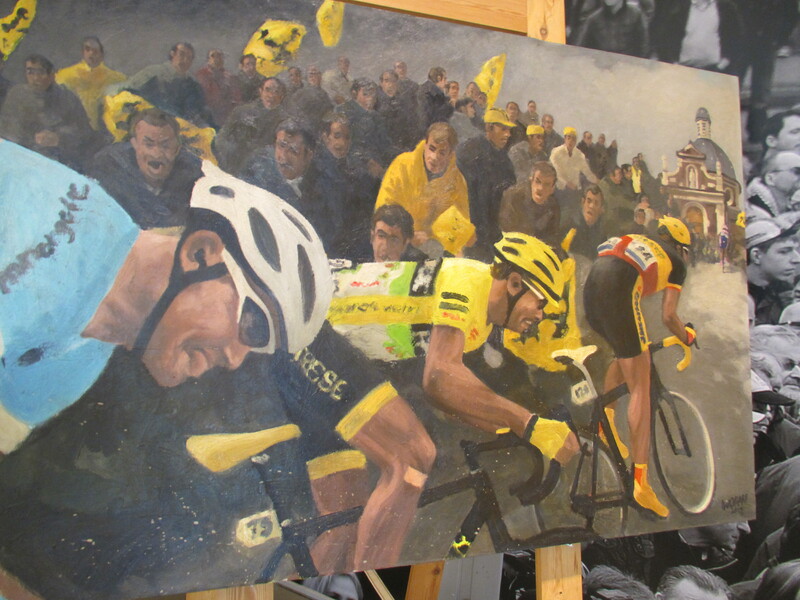 An extra bonus for 2015 is the Tour de France which comes to Wallonia in July. For links to my own accounts of visiting the various races mentioned click the tabs at the bottom of the page. Thanks again Denzil for the opportunity to spread the word and for the great ideas on your blog. 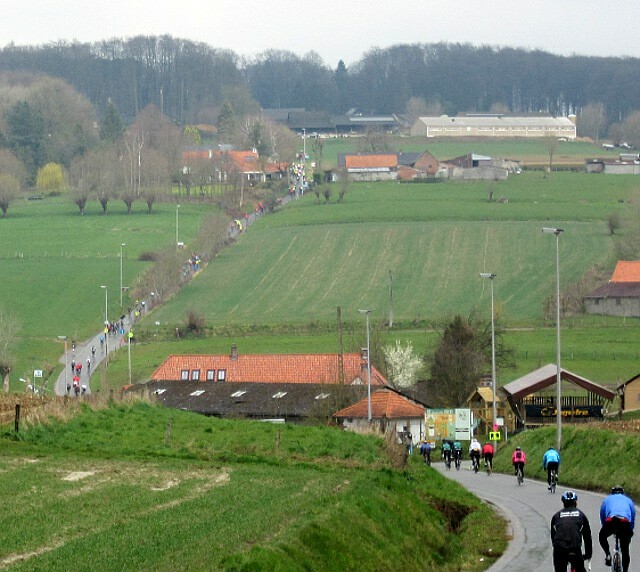 Flanders cycle tour day 3 – Bicycle Paradise. Geleen, Maasmechelen, Hoge Kempen National Park, Genk and Hassalt.